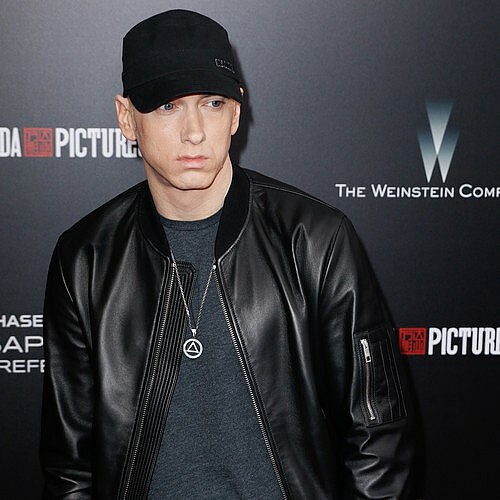 Eminem has acknowledged late rapper Tupac Shakur as a musical "genius" in a new essay he wrote for Paper Magazine. Tupac, also known as 2Pac, died in 1996 at the age of 25 in a drive-by shooting. Eminem, who is 42 years old, penned an article for Paper's forthcoming Nowstalgia issue as part of a series in which current rap stars praise late hip hop pioneers. And in his article Eminem spoke of what a deep impact Tupac's music had on the world. "He was taking things further than a lot of rappers at the time -- pushing it to the next level as far as giving feeling to his words and his music," Eminem noted. "A lot of people say, 'You feel Pac,' and it's absolutely true. The way he chose which words to say with which beat was genius; it's like he knew what part of the beat and what chord change was the right place to hit these certain words... to make them jump off the track and make you feel what he was saying." Eminem noted Tupac's skill for capturing emotions contributed to him becoming an international superstar. The Lose Yourself hitmaker also believes Tupac had a warm sensibility that appealed to the average person, even though some of his subject matter on certain songs was gangster in nature. "He was so versatile -- if you weren't in the mood for what he was doing on this song here, he's got something for you over here," Eminem said. "He covered such a broad perspective and there were so many different sides to him, but the best part about him overall was that he was a human being. He would let you see that. I used to be fascinated with his interviews like, 'Yo, what he's saying is so true.' He would also be able to trump people who were interviewing him when they would hit him with hard questions -- it was incredible. He was a superstar in every aspect of the word. You just wanted to know that guy. Like man, I wanna hang out with Pac."